← OH SAY IT IS NOT SO!! 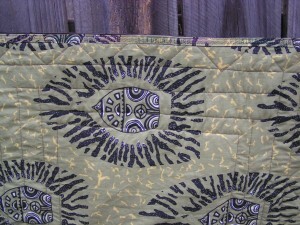 A few days ago I posted a picture of an African miniature quilt I was putting together for a swap on TFPC. 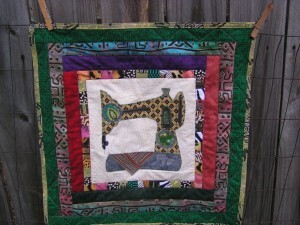 Yes we trade fabric postcards but we also have a miniature quilt swap we are participating in. 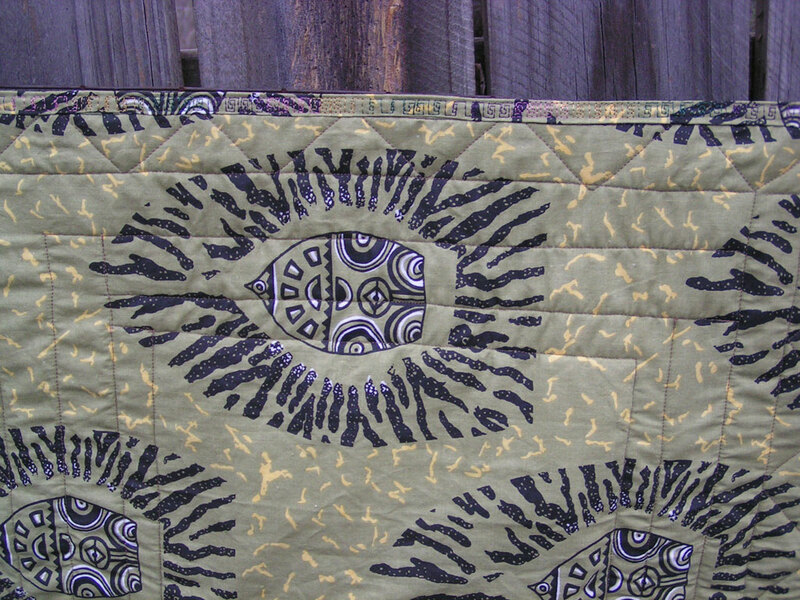 I finally got mine quilted today. Now all I have to do is put the sleeve on the back and the label and it will be off to the person who receives it. 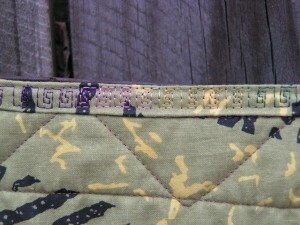 I have 3 to send and I hope to have all them ready by the weekend to get in the mail to all different parts of the USA. When I am finished with those guess what.. I have several more that I have to get started on. Same theme. I hope you enjoy the finished product. 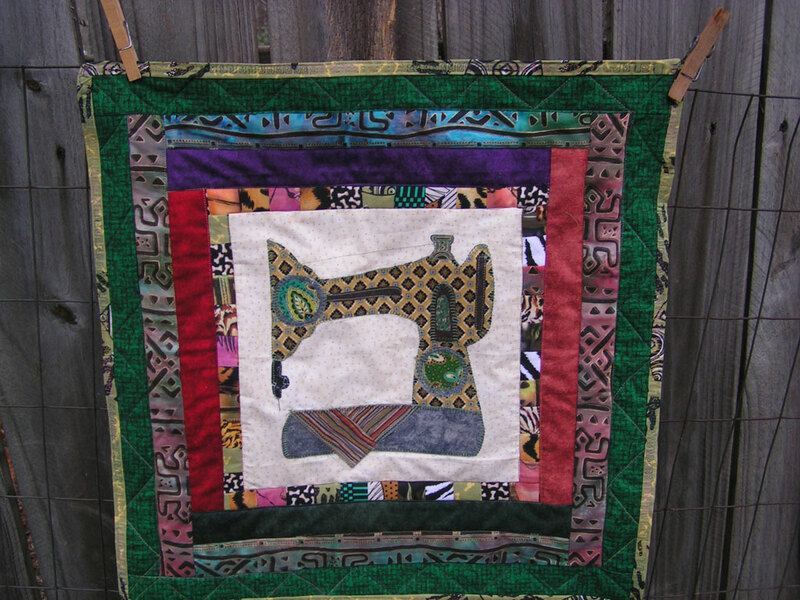 This entry was posted in Main, Miniature Quilts Swaps on Trading Fabric Postcards. Bookmark the permalink.